Have you ever needed to open your CD or DVD drive (generally referred to as your 'optical drive') but couldn't? Just your luck, your favorite movie, video game, or music was probably stuck inside. Maybe the laptop's power died, maybe the drive in your desktop just quit responding, or maybe the door was just stuck or the disc came loose from a try just enough to jam things up. Regardless of what's happening, or what you think might be happening, there's no reason to rush out and replace the disc or drive just because the eject button doesn't do what you expected it to do. We'll start with the easiest way to get the drive open - skip the physical button on the outside and ask your operating system to force eject the disc. You can only try this if your computer has power and is working. Skip down to the next section if that's not the case. 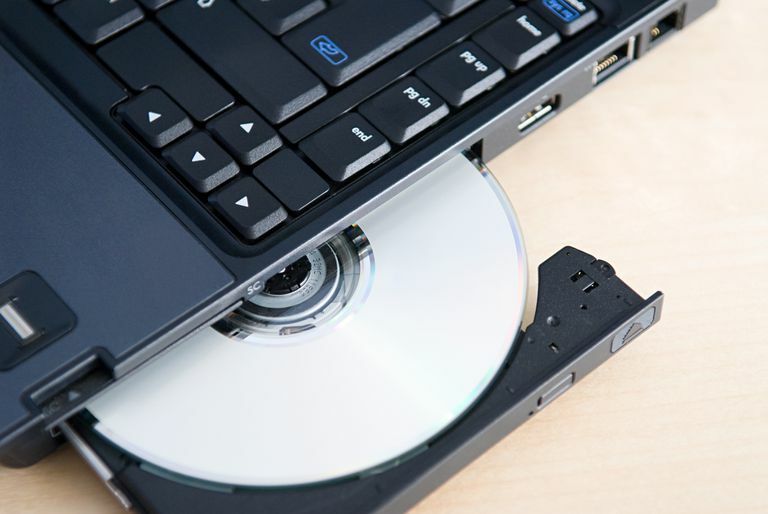 Time Required: Forcing your CD, DVD, or BD drive to eject via your operating system's commands is very easy and should only take a few seconds to try. Open File Explorer if you're using Windows 10 or Windows 8. Search for it or use the WIN+X menu to open it quickly. Open Windows Explorer in earlier versions of Windows. You can do this by looking for that option when you right-click the Start button. Once open, navigate to the optical drive from the menu on the left. This drive is often auto-named based on what disc is inside the drive but there's usually a small disc icon to help identify it. If you have trouble finding it, look for This PC on the left in Windows 10 or 8, or Computer in earlier versions. Click the icon to the left to expand this if it's collapsed. Right-click or tap-and-hold on the optical drive and choose Eject from the menu that pops up or down. The drive bay or disc should spin down and eject within seconds. Using a Mac? Similar to the method described above for Windows, find the disc icon, right-click on it, and then choose Eject. Here are some more ideas. If this doesn't work (Windows, macOS, Linux, etc. ), it's time to get physical with it! It sounds strange, yes, but most computer optical drives, including external ones and those you'll find in your game systems like Xbox and PlayStation, have a tiny pinhole that's designed as a last resort method to get the drive bay open. Time & Tools Required: You'll need a single, heavy-duty paper clip - not industrial sized, but not one of those flimsy plastic ones, either. The whole process will take less than a few minutes and is very easy. Unfold the paper clip until there is at least 1 to 2 inches (2 to 5 cm) that are as close to straight as you can get it. Look closely at your disc drive. Directly under or above the drive bay door (the part that 'ejects' the disc), there should be a very small pinhole. If you have one of those desktop optical drives where a large door flips down before the drive bay ejects, pull that down with your finger and then look for the pinhole. Some older desktops require the opening of the front panel, sort of like a large "door" to the computer's housing, to get to this pinhole. Insert the paper clip into the pinhole. Inside the drive, directly behind the pinhole, is a small gear that, when rotated, will begin to manually open the drive. Remove and reinsert the paper clip as often as needed to eject the drive bay enough to grab hold of it. Slowly pull the drive bay until it's fully retracted. Take care not to pull too quickly or to continue to pull when you feel resistance. Remove the CD, DVD, or BD disc from the drive. Slowly push the drive bay back into the drive until closed or press the open/close button if the drive is still working. If your drive is external, unplug and plug back in both the data cable and the power cable. Check internally that the power and data cables are firmly connected. Restart your computer and try again. Replace the drive. Optical drives are relatively cheap — Amazon sells many for around $20 USD. Those are not necessarily in a step-by-step troubleshooting order. What steps you take depends on a lot on the type of computer and optical drive you have, as well as your specific situation.